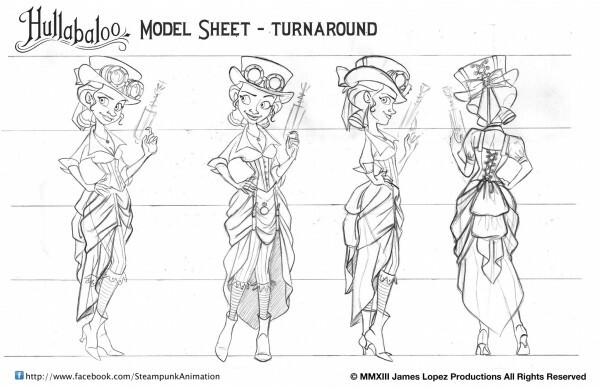 James Lopez, a Disney Veteran, came up with an idea for a Steampunk animated short film called Hullabaloo. 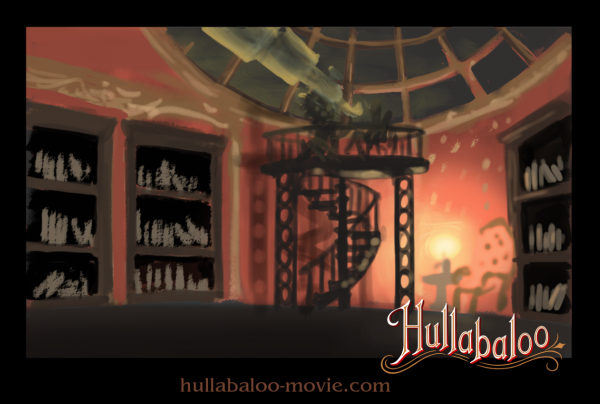 James put Hullabaloo on Indiegogo which has exploded from his original goal of $80,000 to over $350,000 dollars! That is over 450% his asking amount! 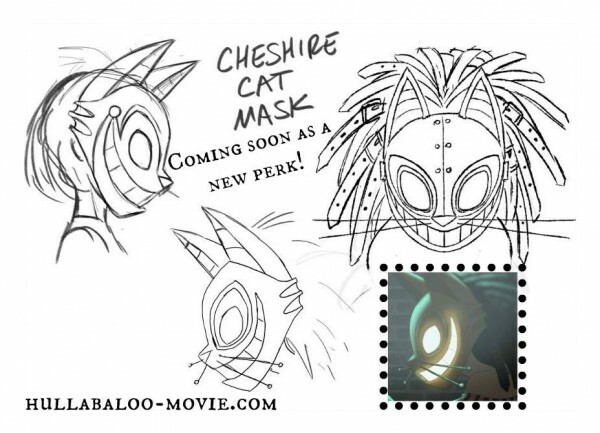 Now James plans on making 3 additional Hullabaloo short films including, “Curse of the Cheshire Cat”, “The Mysterious Island” and “Ask the Professor”. 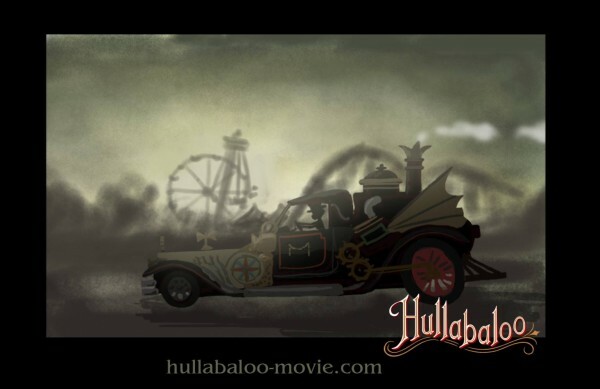 We contacted James for an interview to find out more about his film Hullabaloo and what is to come. Question: How long have you been working on Hullabaloo? What is the origin of the story? James’s Answer: Back in February of 2011, I realized that there was a serious lack of quality 2d animation film in production. Rather than sit and wait for and idea of project to come along, I took the initiative to be proactive and create one of my own. I tried to think of what would be a good story in which to tell in an animated film. I was sitting at the breakfast table with my wife and I asked her opinion. She remembered a few months prior during Halloween, that we went to se a friends decorations. Soon after we arrived, these people showed up dressed in Victorian-era clothing who were there for a photo op with my friend’s display. It was there that I learned what Steampunk was all about, it was Victorian science fiction. My wife recounted how “enchanted” she felt to be in their presence and she said that if I could that feeling and sense of enchantment into an animated film, I would truly have something special. In terms of the story, I wanted to tell a world that was on the shift of ever-changing technology and the pros and cons in adopting that newfound technology. I wanted to tell a story that would be relevant to what we face today and that we could relate to in some way, shape or form through common experience. Question: Can you give us some backstory of your life and career up to today? 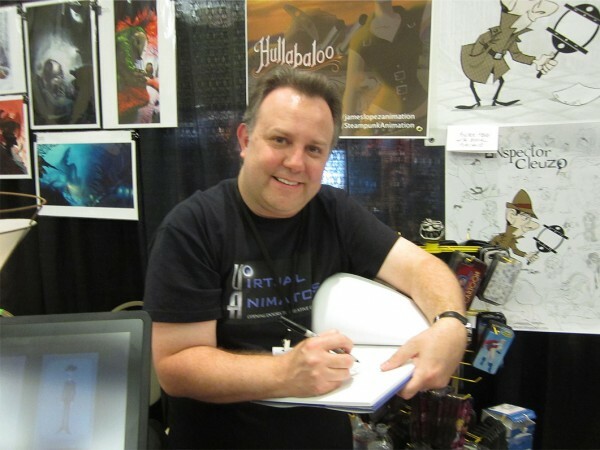 James’s Answer: I’ve been working as a professional animator in the animation industry for 25 years, 15 of them as a Lead Animator for Walt Disney Feature Animation on the films, ‘Pocahontas’, ‘Hercules’, ‘The Emperor’s New Groove’, ‘Home On The Range’ and ‘The Princess and the Frog’. I’ve also worked for Dreamworks and Warner Bros. in a variety of departments ranging from Visual Development, Character Design, Storyboard, Layout and even background painting. My career began at a very early age. I’ve been drawing ever since I could hold a pencil and, throughout my childhood, I had thoughts of becoming an animator for Disney someday. Thankfully, I had the support of my family and friends that supported me with encouragement and lots of drawing paper! After high-school, I applied to the California Institute of the Arts (CalArts) and was accepted into their Character Animation program. At the end of my first year at CalArts, I was recruited to work for Don Bluth, as an assistant to animator Ken Duncan. Ken taught me a lot that summer and I decided to go back to school for a second year to put into practice what I had learned. At the end of that year, I was offered to come back to the studio but this time to work either as an animator or as a storyboard trainee working directly with Don Bluth. I opted for the trainee position and was sent to Ireland. I did that for a few months and the experience was invaluable however, I became terribly homesick. I was only 19 years old and grew up sheltered so, I returned back home to be an animator for a small, independent studio. I continued to work there for a few years and was then offered the opportunity to work for Disney animating on the character “Timon” in ‘The Lion King’. The rest is history as explained above. Question: How did you come up with the look for your film? Did you have any influences or inspirations for your film? 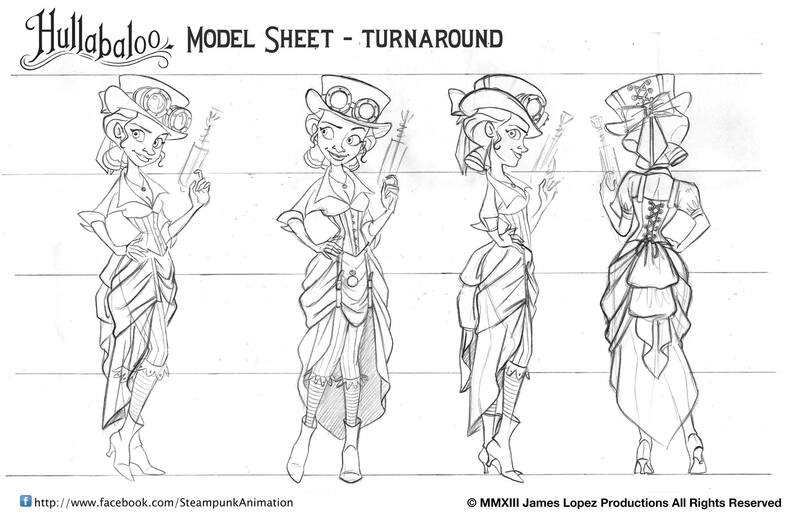 James’s Answer: I was mostly inspired by the artwork of the Steampunk genre. I liked the dramatic lighting and the overall epic-feel that is typically captured in those pieces. This supported the idea that I wanted to apply more cinematography in my project. So, I watched various films, commercials and music videos and took note of the various approaches, The look that I aspire to is one that thinks in terms of the 2d world as being an actual world that physically exists and if a film camera were placed in that world, how it would photograph. 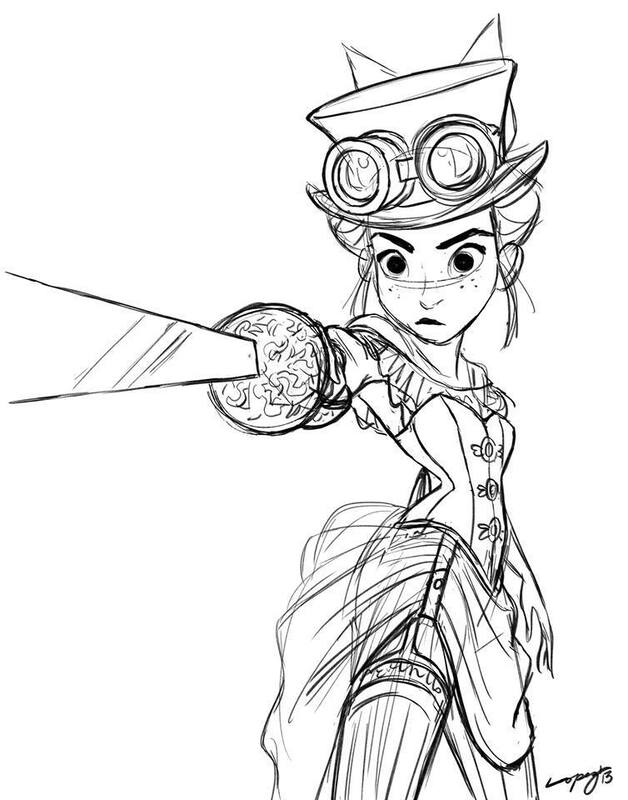 While I was researching Steampunk, I saw that the costumes people wore gave the suggestion of being some sort of Victorian-era super-hero. I thought those would be fun stories to tell. I then decided that my main character should be “the goggled crusader” known as “Hullabaloo”! 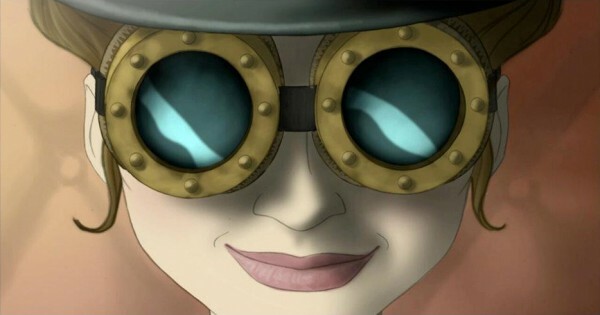 Question: Which came first your story or did you want to explore the steam punk look and create a story from this genre? James’s Answer: When I called the first meeting to discuss potential concepts for a Steampunk themed picture. I had brought with me a series of character designs to help engage the conversation. I was hoping to come out of the meeting with a story idea, however it was suggested that I just start animating. One animation test quickly turned onto a series of shots that eventually would suggest a storyline. 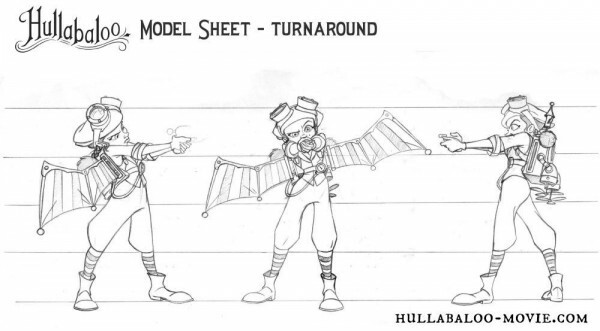 Question: In Hullabaloo you are mixing 2d traditional animation with computer generated animation, why did you go in this direction? James’s Answer: Both 2d and Cg are great tools to use in animation. I wanted the characters to be drawn because that is where I can be more expressive and use Cg for environments and inorganic elements (like ray guns, cars, etc.) that are too laborious to draw on a frame-by-frame basis. Also, we developed a technique to combine the two in way that has not been used before and it creates an elegant, cinematic look that I wanted the picture to have. Question: What challenges have you encountered since starting this project? James’s Answer: I wanted the film to have a particular look and I didn’t really have any resources other than myself so I had to work on broadening my skill sets in order to fulfill my own vision and be able to communicate and share my ideas with others. The biggest challenge of this was teaching myself how to use and paint in Photoshop. Question. Who is the voice talent for your film? Who would be your dream cast for this project? James’s Answer: One of the voice talents is a professional actor who has done voice-work for many animated projects. Another is actually an author and aficionado of Steampunk culture. As far as a “dream cast”, I really like the actors, Keira Knightly and Sam Neill. I also like Simon Pegg. Question: Do you have any advice/tips for people who want to get in to animation and film making? James’s Answer: To start, I would suggest building your “online presence” via Blogs, FB fan page(s), Tumblr, official website, etc. so people can readily see and share your work with others. Often at times, when there is a position open, the producer or recruiter may ask a member of the crew for suggestions for potential hires. They are usually directed to an artist’s personal website or Blog and the artist is reviewed without even being aware of it. Even though you may be adept in your own style, you should try producing work that is influenced by other styles. Show your range. Typically, potential employers are looking for something specific and if you don’t have it, regardless of your potential, they consider you as not being able to do it. Also, when you start working professionally, they usually want you to work in a particular artist’s style so they want to know that you are multi-faceted and can adapt. James’s Answer: To see something created from thin air, from some unseen place, and not from a default pose or pre-fabricated puppet is mystifying to me. To see a static drawing, a piece of artwork, come to life is truly magical. It’s like watching a magic trick. I can wrap my head around how animation is done on a computer but when it comes to drawn animation, and when it’s down well, it totally escapes me. It keeps me engaged. Thanks James for the interview! Great article and interview. A lot of really good advice/art in here too. Thanks for posting! 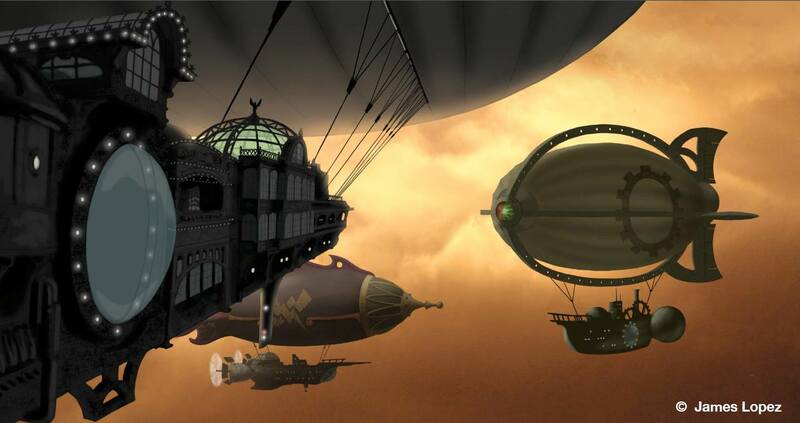 Looks like a great project, with excellent character designs, and you can’t go wrong with zeppelins. I hope to give these a watch. Awesome interview! James is a great guy. Best of luck to him and his crew!